Happy Holidays, Merry Christmas and all that. For folks who got my snail mail card and others, here is a link to my 2013 summer bike trip again. Path from WWU to Jersey Street on Sehome Hill. 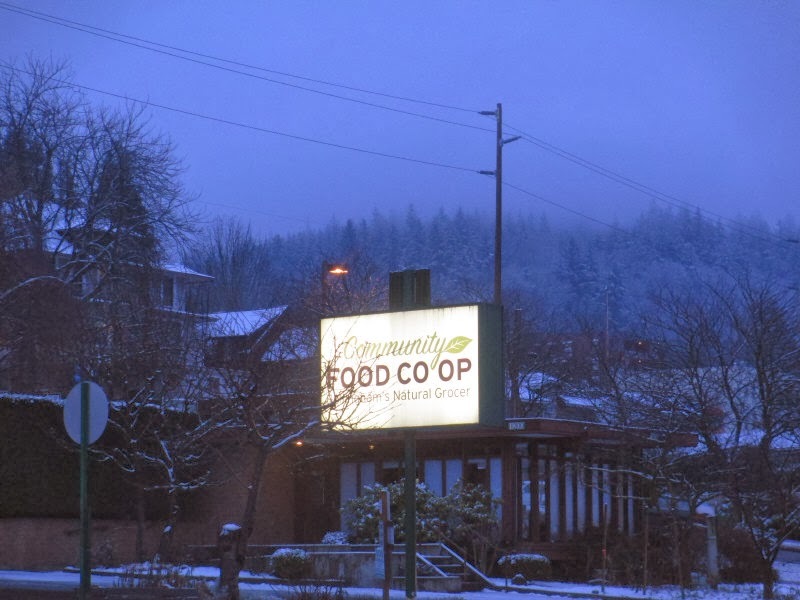 Bellingham Food Coop sign on Forest Street with Sehome Hill in background. Snow is rare in Bellingham. Some years hardly ever, other years a few storms. Rarely it's deeper and stays longer. 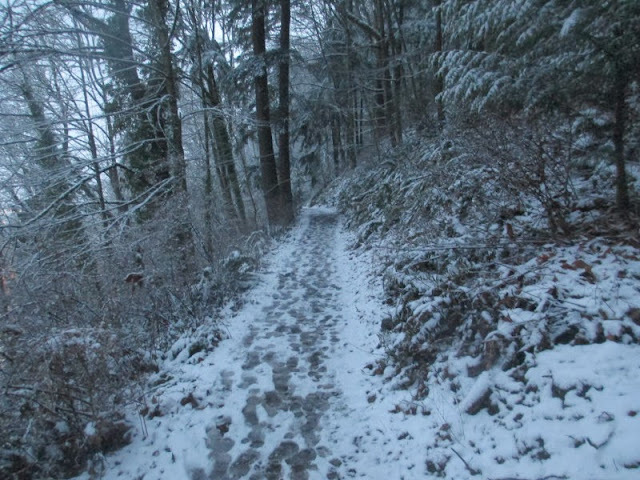 This early December snow was a typical light dusting. Lots of people come out with cameras and post to Facebook when it happens.